Ever since Microsoft announced its Kinect peripheral for Xbox 360, the world has both loved it and hated it in equal measure. Sure it’s great for getting gamers off the couch and it offers something no other console can – controller-free gaming. The problem is that despite the hardware packing some impressive technology, Kinect has been something of a one trick pony since its release in late 2010. Now though it would appear Kinect could be getting the game that could make all that money worthwhile – and it’s not actually a Kinect game. 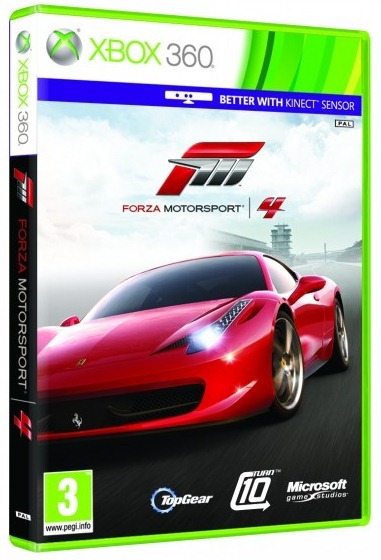 Forza 4, the fourth (obviously enough) installment in the super popular Forza Motorsport franchise promises to take Kinect to a new level. As eager developers show off in the embedded video, Forza 4 uses Kinect to track players’ head movements and then alter the in-game camera accordingly. What this means in real terms is no more staring at the floor while raving. Players can look left and right to help judge those corners better, or set their car up for an upcoming bend. The video does a better job of explaining than we do, but it also shows one of the inherent problems. You might be able to move your head, but your eyes will obviously need to stay trained on the screen in front of you – that’s if you want to see where you’re going. That one nagging doubt aside and this looks like a great use for our otherwise dust-collecting Kinect.